Coast, countryside, caves; sand, surf and cider... South West England has it all and often has a good dose of sunshine too. The counties of Cornwall, Devon, Dorset and Somerset all have their own identities but share some pretty awesome characteristics that make camping in South West England one of the best holidays around. With two national parks, the world-famous Jurassic coast, and the longest coastal walk in the country, South West England is a region well worth exploring and a camping or glamping holiday is the perfect way to do it. Discover Devon's greatest moorland with a camping holiday in Dartmoor National Park. Check out our list of campsites in the area and you’re sure to find something, whether it be a spot to pitch your tent, a campsite to park your campervan in or a glamping site. Go camping in beautiful Exmoor and find and inspiring place to pitch your tent with this collection of campsites in Exmoor National Park, all chosen by the authors of the best-selling Cool Camping guidebook series. Tents, campervans, caravans and even glamping, discover the best campsites in Gloucestershire with Cool Camping's expert choices as seen in their award-winning guidebooks. Looking for somewhere to pitch in Gloucestershire? You've come to the right place. 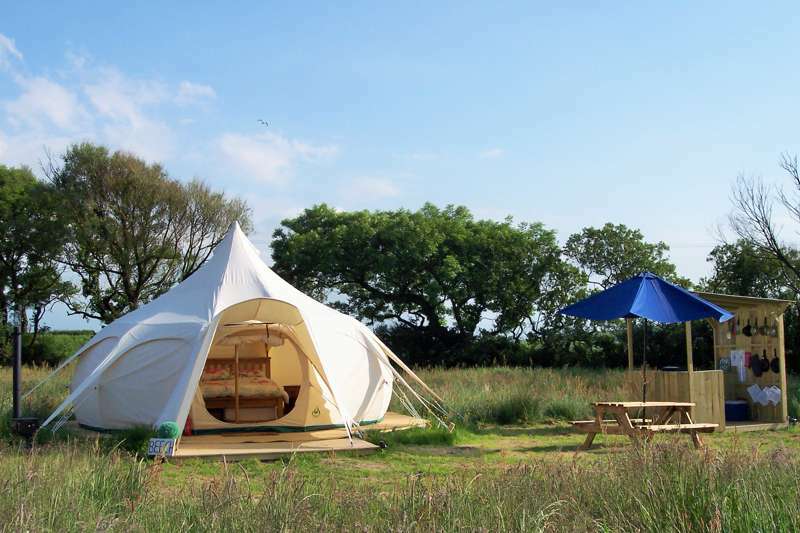 Whether it’s pitching a tent, parking a campervan or even luxury glamping, you’ll find the best Somerset campsites here, all handpicked by the expert Cool Camping team. Including rural campsites, dog-friendly campsites, woodland campsites and tent-only campsites, this Somerset camping collection offers the perfect inspiration for your next adventure. Discover the best of Devon and Somerset's Blackdown Hills Area of Outstanding Natural Beauty with this inspiring collection of campsites and camping experiences, all chosen by the award-winning authors of the Cool Camping guidebooks. Pitch up at a Mendips campsite with this inspiring collection of locations recommended by the Cool Camping team. 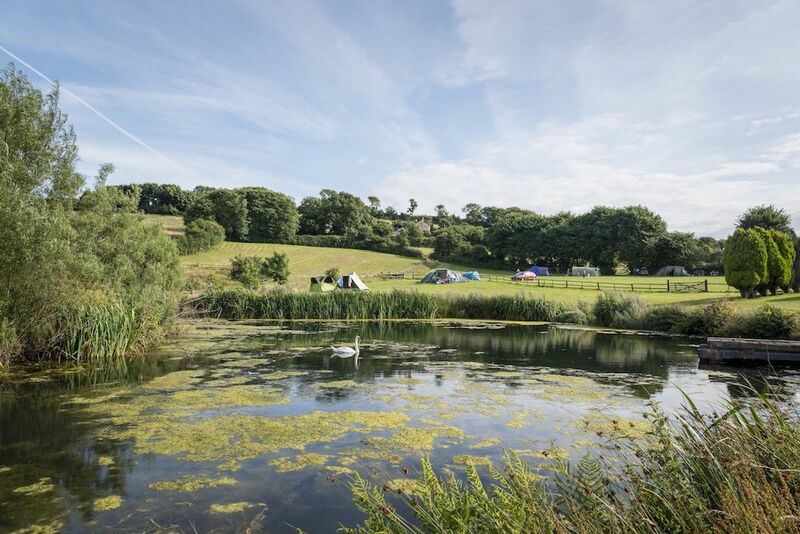 From riverside campsites to woodland camping wonders, find the best places to camp in the Mendip Hills Area of Outstanding Natural Beauty here. With glamping sites galore in Wiltshire, not to mention plenty of spots to pitch your tent, caravan-friendly campsites and scenic woodland sites, you’ll be spoilt for choice when choosing where to camp. Read Cool Camping’s carefully curated list of campsites and book in an instant today. Head to the Isles of Scilly, off the Cornish coast and experience Atlantic coast waterside camping. Read on for remote camping, scenic campsites, child-friendly spots, and romantic retreats. Camping amongst natural beauty awaits you. Whether it's hunting for fossils, hiking on the South West Coast Path, building sand castles on the beaches or eating fresh fish and chips on a local quay, there are few finer spots for a camping holiday than the Jurassic coast, spanning almost 100 miles from Exmouth in Devon to Studland Bay in Dorset. South West England has been a favourite destination for campers for decades and it’s not hard to figure out why. The idyllic coast and countryside of Cornwall, Devon, Dorset and Somerset offer plenty of perfect places to pitch a tent whether you fancy a site near the sea or a rural retreat. The best campsites in South West England are as varied as the destinations that co-exist there. Cornwall and Devon share a reputation for a coastline of great surf, sandy beaches and quaint fishing villages while inland they remain largely rural. It’s a similar story in Dorset: lots of beautiful countryside along with the world-famous and largely unspoilt Jurassic Coast. Dorset’s neighbour to the north, Somerset, has its own wealth of beaches and seaside resorts and is known for its orchards, farming community and the famous caves at Cheddar. All this along with its two national parks, Dartmoor and Exmoor, and the longest national walking trail mean South West England is an incredible place to enjoy the great outdoors. Add in the usually warmer weather of the south and it’s no wonder that so many people choose to spend holidays in South West England camping and glamping. It’s simply the best way to immerse yourself in the beautiful scenery. 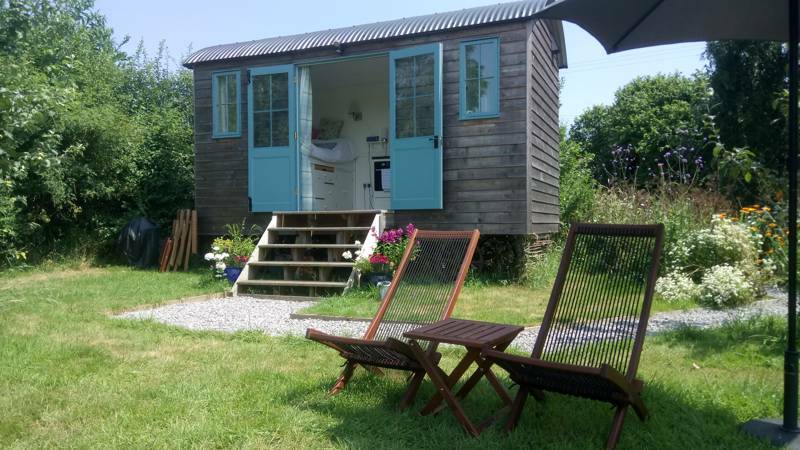 There are lots of fantastic farm-based camping and glamping sites among the orchards, meadows and farmers’ fields of the south west as well as plenty of places to pitch up close to the coast or in sight of the sea. The Cool Camping team have given the thumbs-up to some of the very best campsites in South West England for this collection. South West England has long been a magnet for campers. Fistral Beach and other surf spots in the south west attract surf dudes in campervans; the almost-annual Glastonbury Festival attracts music-lovers with tents strapped to their backs and the wealth of farms and seaside sites attract family campers in the school holidays. As a result, there are hundreds of traditional back-to-basics campsites in the region. It can be hard to know where to choose but our collection gives you a headstart as we’ve selected only places that offer something special. We tend to steer clear of big holiday parks and you’ll find most Cool Camping sites are independently-run and smaller in scale. We have a soft spot for tent-pitch camping: it’s great value, just about the most eco-friendly way you can go on holiday and, of course, it’s amazing fun too. In South West England you’ll be able to choose from beachside retreats, farmers’ fields and woodland pitches. There are campsites where there are top-notch facilities, electric hook-up and activities to join in with and campsites where there’s simply a great location with basic facilities which are part of the charm. As one of the country’s top camping spots it should be no surprise that South West England leads the way in terms of glamping too. A glamping holiday offers the spirit of camping but with more comfort – just how much more comfort is down to the type of glamping holiday you go for. 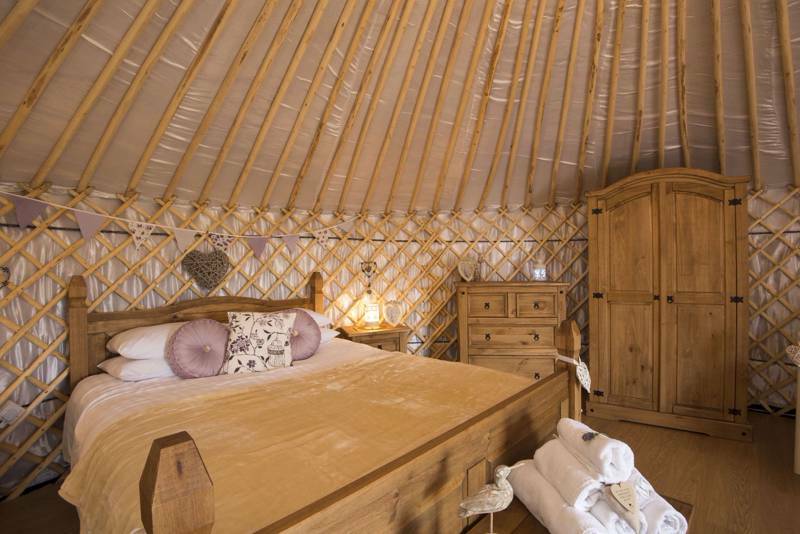 You can choose to simply rent a tent which is pre-pitched for you or go all in for luxury and find somewhere that offers hot tubs, fluffy towels and all mod cons. Bell tents are a popular summer glamping option: you can stay cool under canvas and they offer enough space for a family to bed down in a single space. 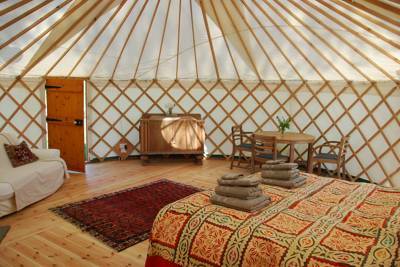 Yurts and tipis are also one-room options where a family can share the space. They tend to have a bit more head room, are a little more insulated and often have a log burner fitted too. Safari tents are another spacious canvas option and can vary from a multi-room tent to a wooden-floored luxury lodge that wouldn’t be out of place on a game reserve in Africa. Shepherds huts and gypsy caravans, log cabins, camping pods and geodesic domes offer a bit more protection from the elements, sometimes a bit more space and a few more facilities too. 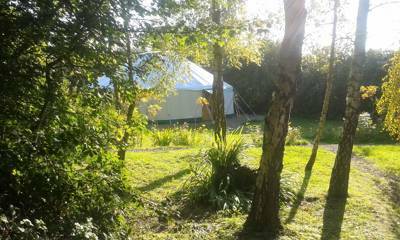 You’ll find them all in the South West which probably offers the best selection of glamping accommodation in the UK. Camping and glamping offer a family-friendly way to holiday wherever you go. In our experience, there aren’t many children who don’t love the adventure of putting up a tent, spending all day outside and making new friends on site. Staying in a shepherd’s hut or a pre-pitched tent can also offer an easy introduction to camping for families with young children or those who don’t have all the gear. Whether you fancy camping or glamping, the South West of England offers a great family-friendly destination with plenty of sites with facilities and activities especially for younger campers. If you’re camping near the seaside, you won’t find it hard to fill your days with swimming, paddling and sandcastle-building for tiny tots and watersports, fossil hunting and rockpooling for older ones. Farm-based sites are fascinating for kids of all ages (and adults!) as there’s often a chance to meet the animals and sometimes even the opportunity to get stuck in with collecting eggs or feeding lambs. South West England has plenty of family-friendly attractions too from Somerset’s Wookey Hole caves to Cornwall’s Eden Project – more on those later. Cornwall is arguably England’s camping capital. Legions of campers make their way to this far south-west corner of the country which boasts 300 miles of coastline including sandy beaches, surfing hot spots and fishing villages where seafood is always on the menu. 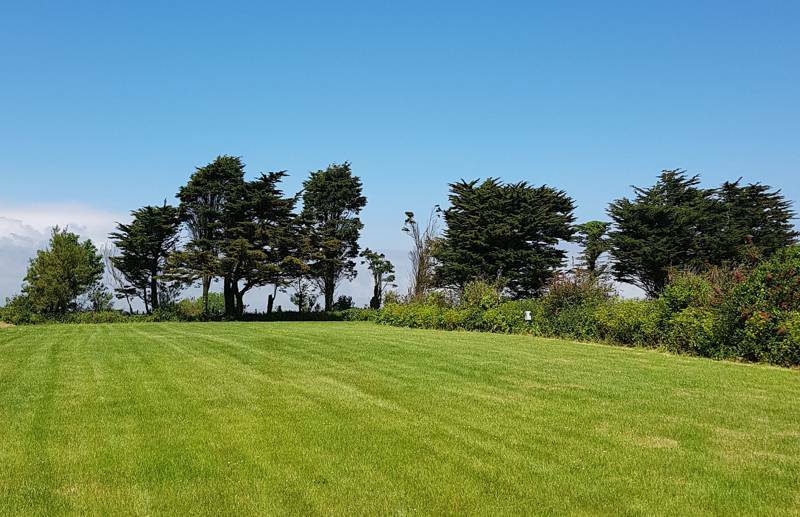 There are plenty of seaside campsites and countryside campsites too: many on farms and smallholdings with an eco-friendly approach to holidays. Wherever you go in Cornwall you’re not too far from the coast and you’re likely to spend at least some of your time there whether you’re walking on the South West Coast Path or learning to surf in Newquay. During a camping or glamping holiday in Cornwall you can get a taste for this fiercely independent county with Cornish pasties, cream teas and ice creams. On days out from your campsite, you can visit the most westerly point of the British mainland at Land’s End and the most southerly point on the Lizard peninsula. Other attractions include the Eden Project, Tintagel Castle, St Michael’s Mount, Bodmin Moor and the Minnack Theatre so you won’t be short on things to do. Devon is the England’s third largest county and has a north and south coast with a whole lot of countryside sandwiched in between. It includes the wild beauty of both Exmoor and Dartmoor National Parks, five Areas of Outstanding Natural Beauty with rolling countryside, woodland and farmland all part of the scenery. It’s two coastlines include part of the World-Heritage listed Jurassic Coast, the seaside resorts of the English Riviera and surfer-friendly beaches like Croyde and Woolacombe. 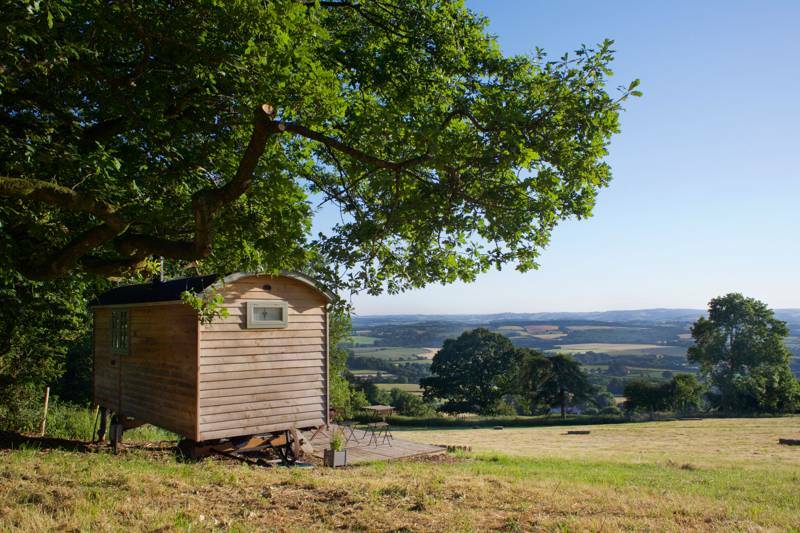 All this natural beauty makes Devon a great destination for camping and glamping holidays. Like neighbouring Cornwall, it has plenty of campsites to cater for people who want to experience the charms of its coast and country. The most popular seaside resorts in Devon tend to have big holiday parks in prime positions but we’ve found some little gems, often tucked away or further inland. While you’re in the county you’ll want to try some of the local specialities including a Devonshire cream tea (cream first, jam on top), fish and seafood. There’s plenty of great places to go camping in Dorset which stretches from the edge of the New Forest National Park in the east to Devon in the west. It’s the start of the south west and has countryside that inspired the novelist Thomas Hardy and an unspoilt coastline that’s listed as a World Heritage Site for its Jurassic remains. More than 40% of the county is designated as an Area of Outstanding Natural Beauty so it’s not hard to find a pitch that’s pretty. 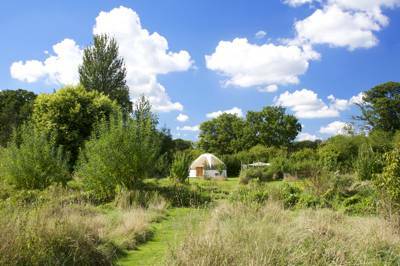 You can pitch up near the beach or go glamping in the Dorset countryside to find a spot that’s far from the madding crowd. When it comes to days out during a camping or glamping holiday in Dorset you’ll find plenty to keep you occupied. You can go fossil hunting on Chesil Beach, marvel at the chalk stacks and cliffs of Durdle Door, swim in the sea at pretty Lulworth Cove or walk out on the famous harbour wall at Lyme Regis. Corfe, Lulworth and Maiden Castles are just some of the historical attractions you might like to visit on a day out from your campsite while the county’s RSPB Arne is a great place for nature lovers. Camping in Somerset is usually more about the countryside than the coast. Like its south-west neighbours it has a great mix of both but its best-known attractions are found inland: cheese, cider and the caves of Cheddar Gorge and Wookey Hole! That’s not to say that Somerset’s coastline should be overlooked. The county is home to seaside resorts including Minehead and Weston-super-Mare where you can enjoy traditional bucket-and-spade fun and also to a wilder area of coastline within Exmoor National Park. There are quiet coves and traditional harbour towns and the county counts the start of the South West Coastal Path among its attractions. There are great campsites on and near Somerset’s 40-mile stretch of coast but there are even more inland. The Somerset Levels and Moors make up a flat landscape of fertile low-lying land where there are lots of farm and meadow-based campsites. These are perfect places to enjoy a taste of life on the farm, without the hard work, of course. Then there are the hills: the Mendips, Blackdown Hills and Quantocks, all Areas of Outstanding Natural Beauty. It’s the Mendips area you’ll want to head to if you want a campsite near Cheddar Gorge or Wookey Hole. Have a cream tea – Devonshire or Cornwall it’s up to you and whether you prefer jam on the cream or cream on the jam! Go for a walk on the 630-mile South West Coast Path which edges all the counties in South West England. Build sandcastles on one of the region’s beautiful sandy beaches. Hone your skills on a surfboard. Beginner or old hand, the south west is England’s surfing capital. Check out the geology! The fossils and chalky stacks of Dorset and Devon, the cliffs of Cornwall, the caves of Somerset… South West England’s geology is simply fascinating. Enjoy West Country produce: apples, cider and cheese among other things make for perfect picnic lunches on days out from your campsite. Visit one of the South West’s National Parks, Exmoor and Dartmoor to explore the heathland and see free-roaming ponies. 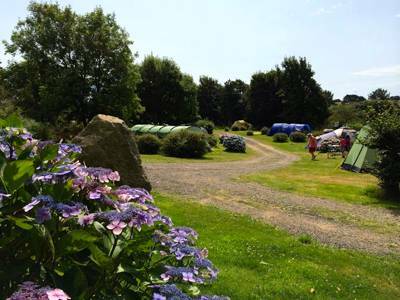 South West England, south west, camping in the south west, glamping in the south west, cornwall, devon, at Campsites in South West England, Need to find a campsite in the South West? Whether it’s Devon or Cornwall, camping or glamping, tents or campervans, you’ve come to the right place. Find the best campsites in the South West of England here with Cool Camping’s expert editor’s picks and book them all online now at the best price. Simple!